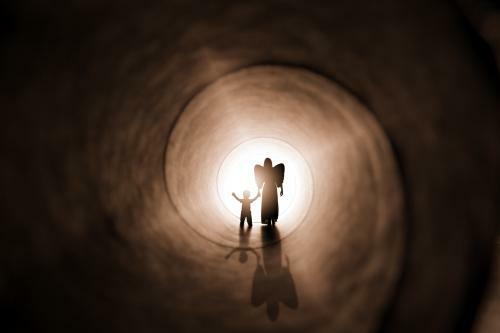 Finding evidence for reincarnation may seem like a daunting task, but some evidence of past lives is considered astounding and legitimate proof that reincarnation happens. Documented proof of reincarnation can be found in verified details from past life regression therapy and true stories of past lives recalled. Dr. Ian Stevenson is considered one of the world's foremost reincarnation researchers. Dr. Stevenson (medical and psychology degrees) created the Division of Perceptual Studies (DOPS), as a research unit of the Department of Psychiatric Medicine at the University of Virginia that continues the research he began. Dr. Stevenson didn't use hypnosis regression in his research since it offers too broad a spectrum for misinterpretation and imagination. By adhering strictly to investigative and documentation techniques, Dr. Stevenson legitimized his findings within the scientific community and did more to advance the study and understanding of reincarnation than any other researcher in the field. Dr. Stevenson's findings showed that past life recalls are very common for children between the ages of two and five. He traveled throughout Asia, Europe and North America, interviewing and documenting such cases. In his book, Twenty Cases Suggestive of Reincarnation, Dr. Stevenson investigated 20 children with stories of previous lives. This fascinating book details this research and his findings. Dr. Stevenson's 50 years of research resulted in over 3,000 cases of what he believed were actual cases of past life recalls. Dr. Stevenson concluded that by the age of seven, most children no longer have past life recalls and as they mature and tend to forget everything about those memories. Few ever recall making such claims of a previous life. Some of the best cases of past life recall have, not surprisingly, come from children. Children have been able to give specific details, names, towns and other pertinent information that was verifiable. In addition, many of these children were born with either a birth defect, birthmark, or other wound-type scar that correlated to the previous lifetime, usually as a fatal wound. 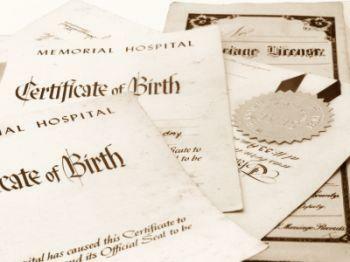 Probably the most interesting and evidential aspects of many reincarnation claims by children and adults are physical markings that match up with those of the deceased person. Oftentimes, birthmarks will be present in the exact location of a fatal wound. In other cases, an actual entry and exit wound were found that correlated to those of the person the individual claimed to have been in another life. Other indicators of a past life are a strong emotional attachment to other people, many times to complete strangers. Many people, children especially, are often homesick for their former home and family. Phobias are sometimes present in those who suffered traumatic past life deaths. A fear of fire is common for someone who was a victim of death by fire. A phobia of drowning might be found in someone who drowned in a previous life. Edgar Cayce, the Sleeping Prophet, used a form of self-hypnosis or meditation and conducted what he called readings for other people. Cayce certainly demonstrated accuracy and gleaned more than past life recalls during his sessions. Cayce's readings gave volumes of information about his past lives and those of people who contacted him for readings. Cayce often discussed the veil of forgetfulness that he explained protects individuals from recalling their past lives. Without this protective veil, the average person couldn't cope with so much information and emotions. Dr. Jim B. Tucker M.D. : Life Before Life is a thoroughly researched book carrying on Dr. Stevenson's work and detailing evidence of children's past life recall. Dr. Helen Wambach: Reliving Past Lives offers evidence gleaned from subjects in hypnosis who recall past lives. Dr. Brian L Weiss: Same Soul, Many Bodies describes Dr. Brian Weiss's accidental discovery of past lives during a hypnotherapy session and discusses case studies from many of his subjects. Dr. Michael Newton: Journey of Souls looks at not only cases of reincarnation, but also what happens to the soul between lifetimes. The work is taken from thousands of case studies. Many researchers practice hypnosis as a method of past life regression. Some of these cases have been documented, and while it's a worthy and legitimate form of research, other scientists choose not to use it. The human mind cannot be adequately measured through scientific means. For this reason, many researchers opt not to use hypnosis regressions in their research. That doesn't mean regression research is invalid. Many regression sessions have delivered undeniable facts and information. As science advances in quantum physic theories, many researchers believe it's just a matter of time before there's scientific proof of the soul and the soul's journey through reincarnation. There have been several conjectures about possible causes of the phenomena known as past life recall and whether reincarnation is real. One explanation for reincarnation has nothing to do with the birth, death, and rebirth process and everything to do with cellular memory. The theory of cellular memory hypothesizes that the subject's cells hold the memories of past lives and those memories are activated by electrical impulses. While this kind of cellular memory is used to explain past life recall, there is no evidence of it being conclusive, much less the only explanation. The ancient Celts believed they carried the memories of their ancestors within their bodies and that a certain scent or visual stimulus could trigger a stored memory. Their knowledge of cellular memory wasn't scientifically founded, but wrapped up in mystique and spirituality. Is Extra Sensory Perception at Work? Another explanation for past life recall is more simplistic. Many believe that people with certain extra sensory perceptions are merely misinterpreting residue from energy signatures imprinted on places and objects as their own past lives, such as being psychic, empathic or employing psychometry (impressions from objects). If you wish to explore the evidence of reincarnation, you'll need to be prepared to invest a great deal of time and, above all, keep an open mind.